The Hawaii Child Support Calculator is a form through which you can estimate the amount of child support you may have to pay or may be able to receive. 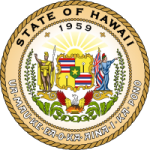 The calculator uses the guidelines promulgated by the Hawaii Family Court and they are the same guidelines used by the court and the Child Support Enforcement Agency when establishing child support orders. Keep in mind that the worksheet only provides an estimate of the amount of child support you may owe and that the court or agency may change the amount due to various factors that may be unique to your situation.